In the 1920s Jan Wiggers was making wooden shoes by hand in the village of Groenlo, Holland. In an effort to improve productivity he worked with a local metalsmith to invent the first machine to automate the wooden shoe making process. The invention of this machine would end up bringing electricity to Groenlo for the first time, which meant that for years to follow Jan would be known locally as "Jan with the strange light". During the Great Depression of the 1930s these skills were used as barter in exchange for necessities such as food. During the Second World War of the 1940s a secret room in Jan's shop was also used by the Dutch Underground to hide shot down Allied pilots from enemy combatants as part of an ongoing mission to return these pilots back to England. 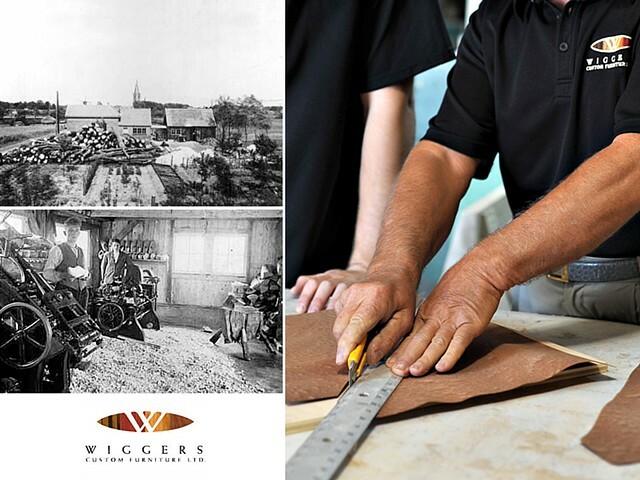 After the close of the war came a period of tremendous rebuilding and growth, and it was then that Jan partnered with his brother-in-law Bert Thesseling to create the furniture factory Thesseling-Wiggers-Groenlo (TWG). TWG continued until the 1950s when family members began to emigrate to North America.